It's been quiet around here because I've head my head down quilting. I'm trying to finish up a few quilts for Jacob's Heart as part of a charity quilt drive with the South Bay Area Modern Quilt Guild. I planned on making two, but when my daughter also wanted to make a quilt, we added a third. 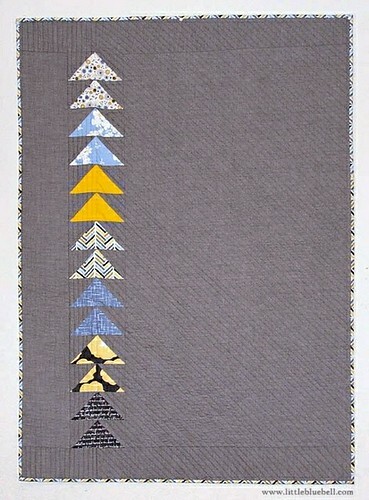 There is one more week to finish and I have one more to quilt and all three to bind. I think I can, I think I can. Phew. A good week's work for a five year old (and her Mama). 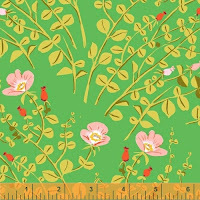 New Heather Ross Fabric, fun and prizes? Like many of you, I am so excited that Heather Ross has returned to quilting cottons with her upcoming collection, Briar Rose for Windham Fabrics. 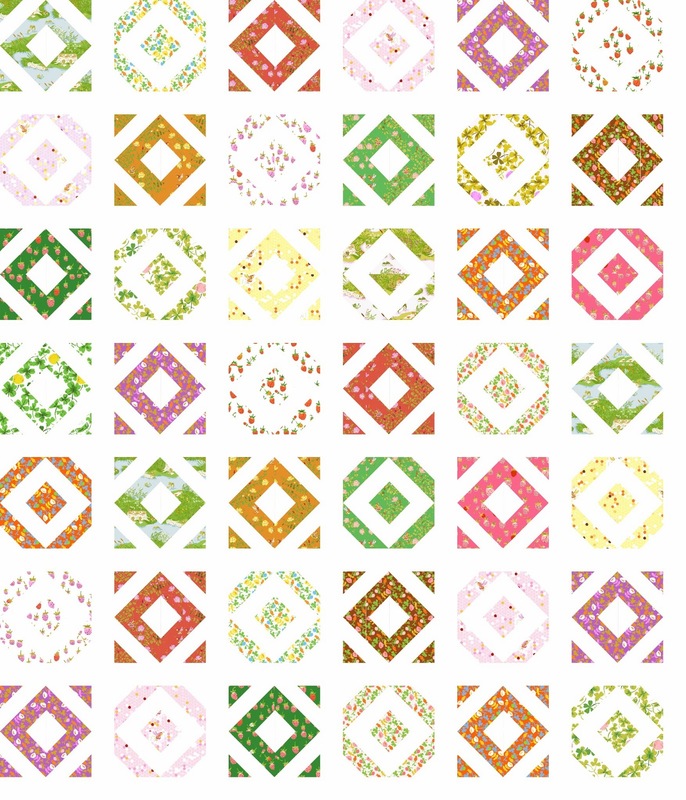 To celebrate, Windham has teamed with Threadbias and Pink Castle Fabrics in a quilt design contest. Sounds fun so far, right?! Ok, so here is what you need to do. 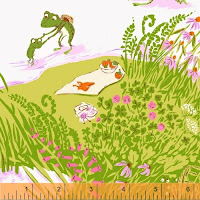 2) Use their quilt design tool to design a quilt using prints from Briar Rose. 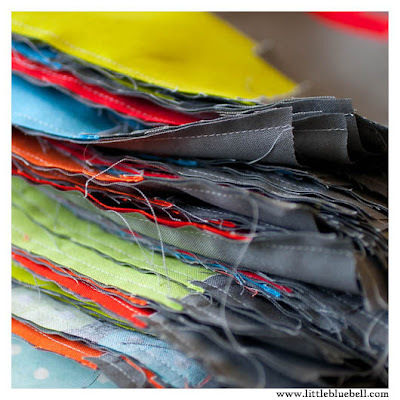 3) Load it up, save it up, and you are entered to win enough fabric to make your quilt. Hurry! You have until May 5th, 2013 to enter. 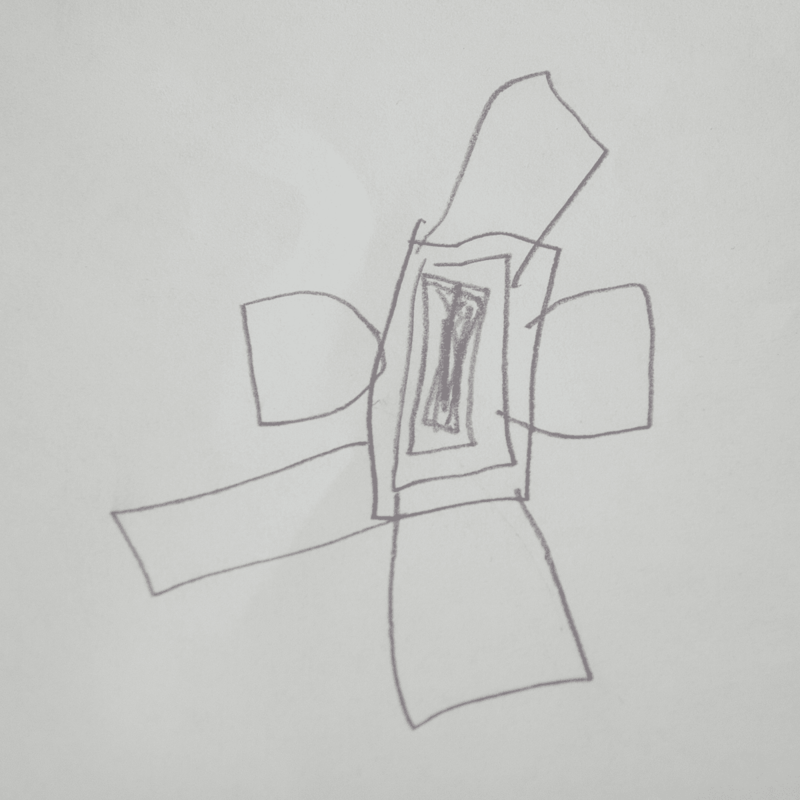 Here is my design, called Puddle Jumper. "Sweet frogs hop and skip across puddles of color causing ripples as they go. Strategic color placement adds a graphic whimsy to this quilt. It's scrappy with a purpose. 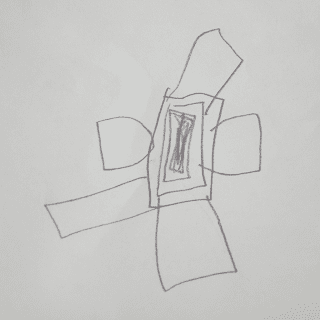 Simple block construction makes this accessible to all experience levels. 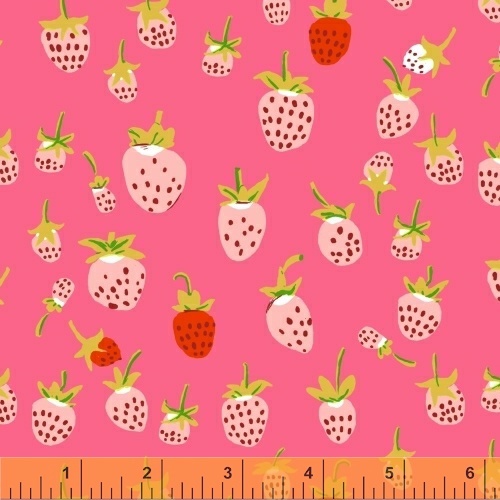 A perfect excuse for playing with these cute Heather Ross prints!" 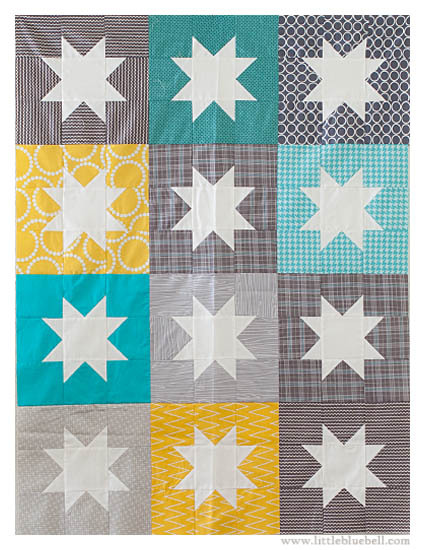 The Shower of Stars Quilt Show is this weekend in Santa Clara, Ca. 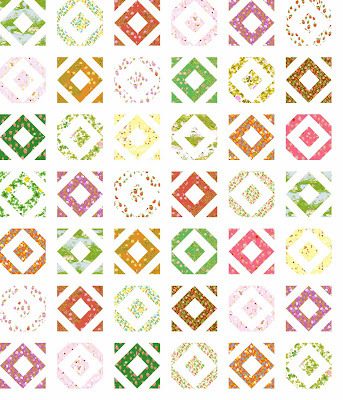 This quilt show is put on every two years by the Santa Clara Valley Quilters Association. 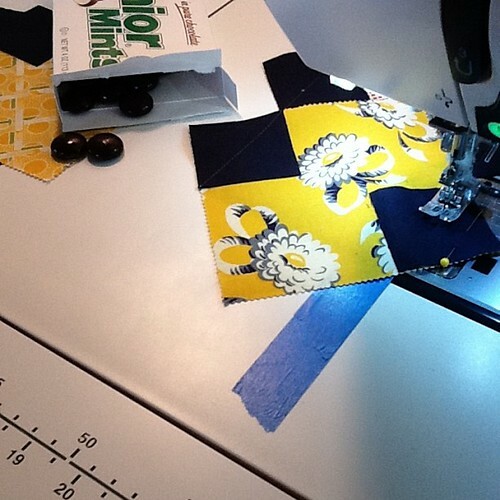 For the first time ever, they have invited another guild, the Bay Area Modern Quilt Guild, to join them in a special exhibit of our modern quilts. I have two quilts hanging in the show, Rebel Amish and Fly Away Home. If you're in the area you should come and check it out! 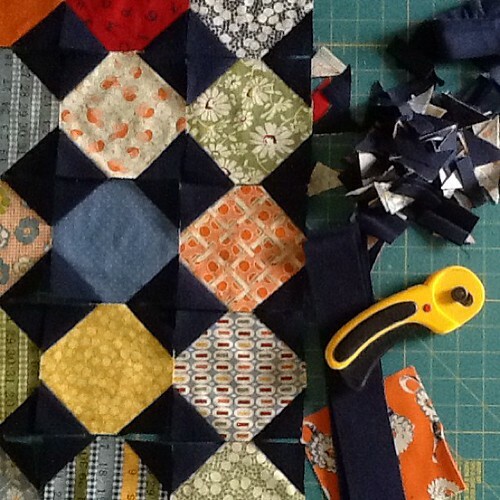 There will be over 400 quilts on display, both traditional and modern, as well as, demonstrations, giveaways, vendor booths and quilt appraisals. I'm so excited I could burst. 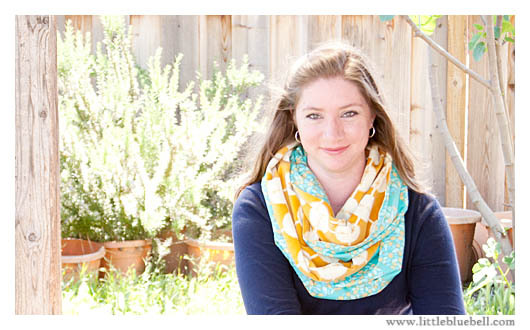 One of my patterns will be published in a book!!! 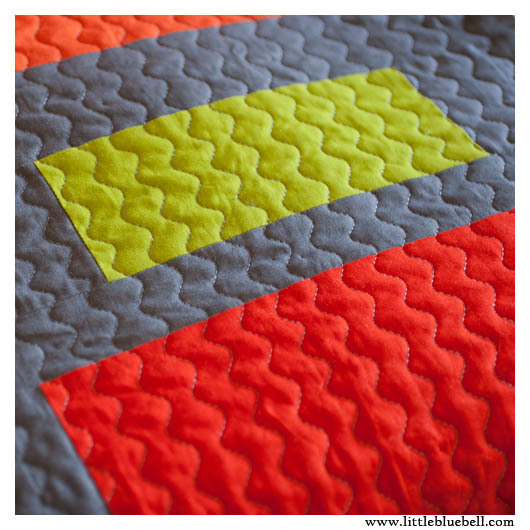 Quilts from my online quilting bee has been turned into a book by bee member, Lindsay Conner. 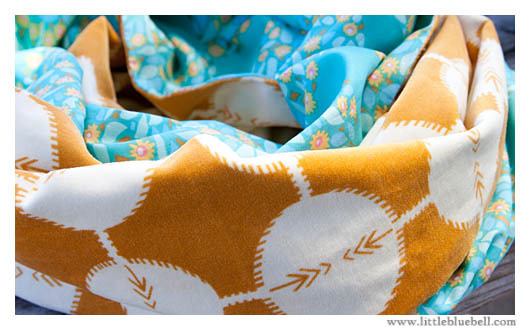 The book is called Modern Bee and there are 13 quilt projects in total. Lots of variety, lots of eye candy and lots of fun. 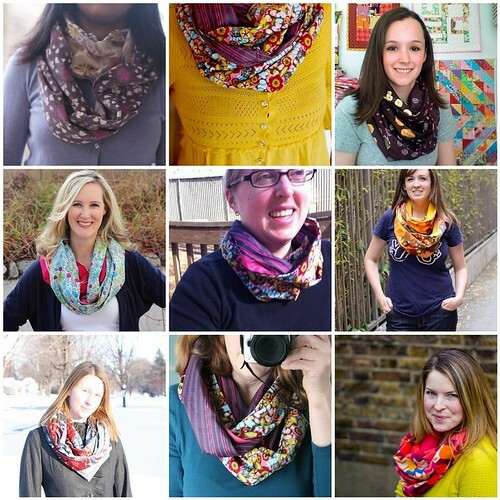 When Elizabeth invited me to be part of the bee, I was so excited to work with these quilters. This is an amazing group of talented women! Of course, I know what the projects look like, because we all worked on them together, but I haven't seen much of the book yet. As soon as they tell me it's ok, I will show you more of my project. There is a sneak peek of the cover on Amazon. It will be released this October. The best way to find our more information is through the book's website: www.modernbeebook.com and also through Stash Books, the publisher. 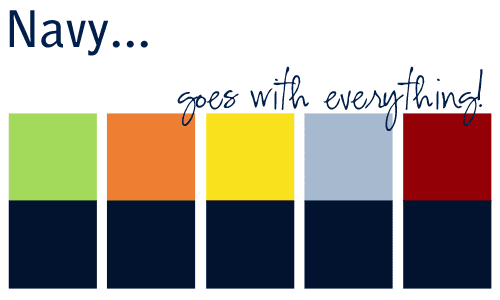 At our last meeting, Ruth, our President, asked us to bring in snippets of color with enough pieces to share. Then she assembled us into groups. Together each group used the snippets to create different color palettes. 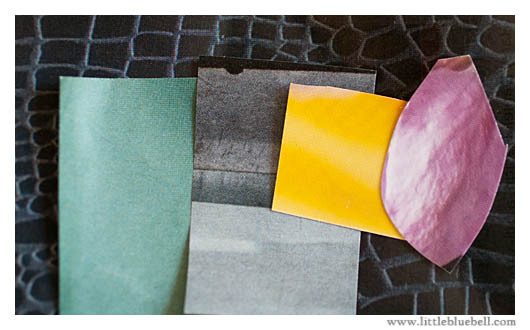 We had to choose one color palette and brings scraps in those colors to the next meeting. Here is the palette my group decided on. This morning I spent some time digging through my scrap bucket. Truth be told, it's more of a scrap black hole. Pieces of fabric are tossed in and never seen again. 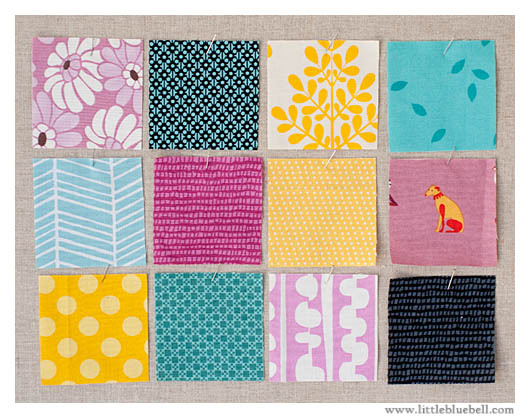 I knew the teal and yellow would be easy to find, but what about that orchid and black?! Oy. Not to worry. I found two scraps of black and a few orchid-ish pieces. I threw the solid back into the bin because it was so dark compared to the rest. The teal with black pattern was a really happy find. I wish I had more color prints with just a touch of black in the design. Denyse Schmidt usually has one or two really good ones in each of her collections. The print with the dog on it had orchid and yellow. Yes!!! I'm cheekily calling it, "Team Ruth". Looking at them all together, I am so surprised! I never thought I had this beautiful combination lurking in my scrap bin. I wonder what we're going to do with them on Saturday. If you're in the area, come on by. Bay Area Modern meets at 1:30pm at the Redwood City Public Library. 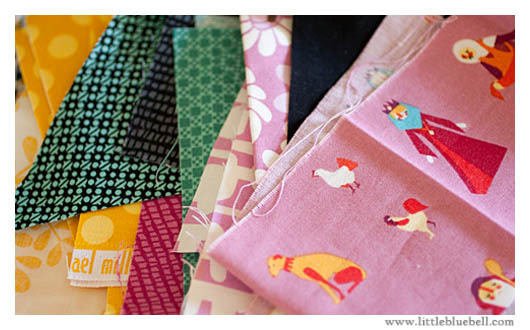 It turns out I can't baste those baby quilts until I make some room on my work table. Namely this little project I've been puttering with in the evenings. 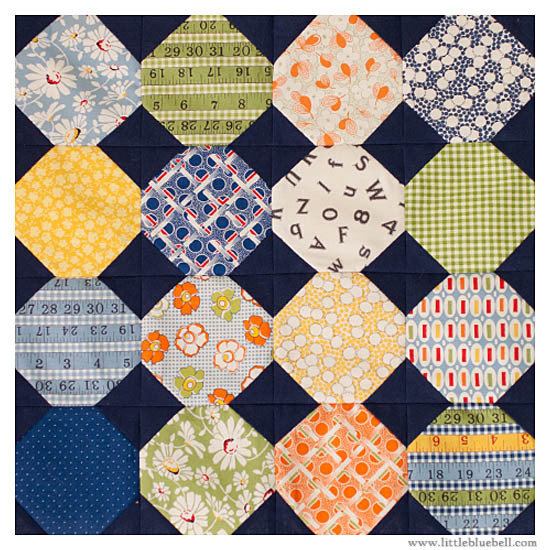 Penny posted her gorgeous snowball blocks on Instagram the other day and announced a quilt along. I think she has the happiest scraps ever! One particular night, I was feeling antsy and unsettled and I needed something to keep my mind and hands busy. These snowball blocks were perfect to sit down and play with. I had a stack of leftover charms from several older American Jane collections. Sandy's fabrics are magic. They hit just the right note of vintage charm. 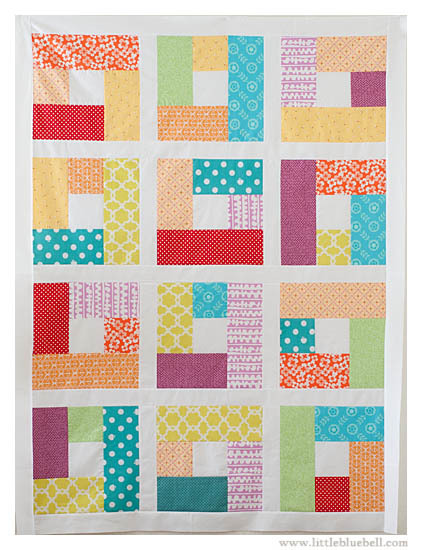 I think normally I would have chosen an off-white for the solid, but one of the things I loved about Penny's blocks was the vibrant green-blue solid she was using. It tied all of her scraps together and it felt very fresh. 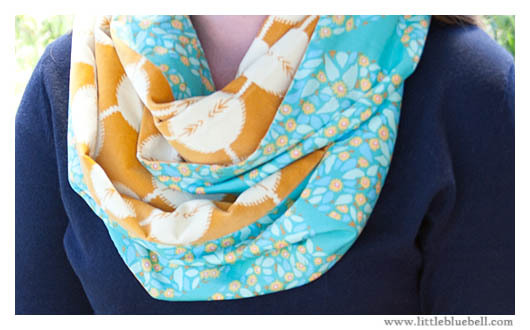 I decided to push myself to pick a color, something that would compliment each print. 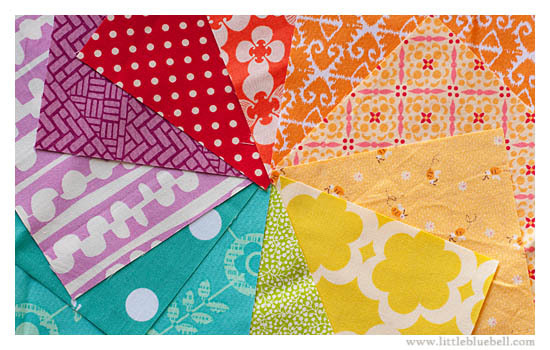 There was a mix of granny smith green, persimmon orange, sunshine yellow, vintage blue, and a smidge of fire engine red. 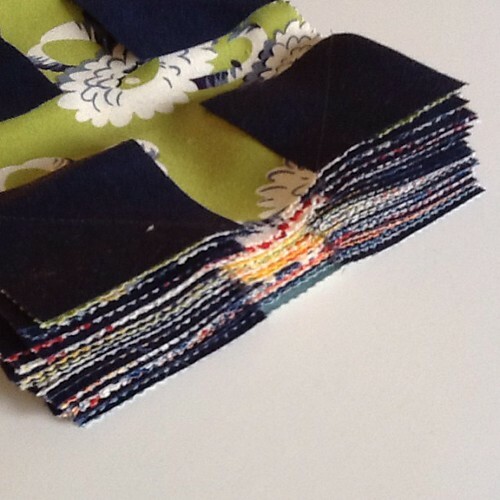 I chose Essex in navy because it looked great next to each of the main colors in the fabric. PS- I am not paper piecing these, so mine look a little different than Penny's. 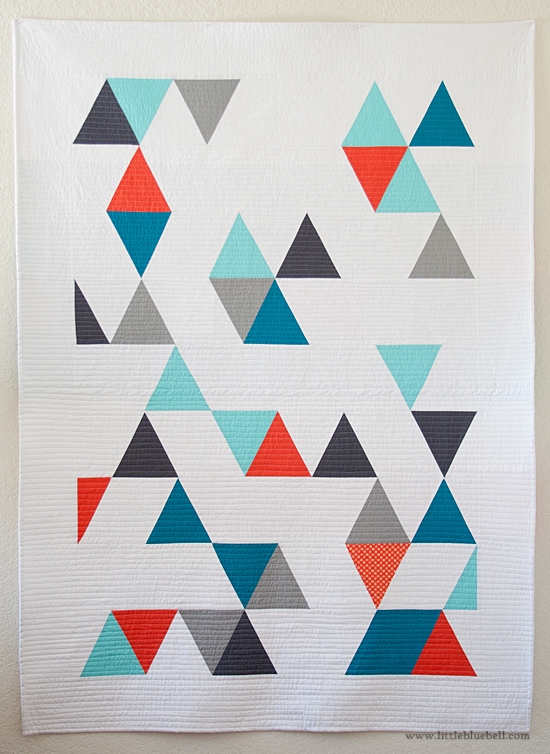 The South Bay Modern Quilt Guild announced a charity quilt drive last week. 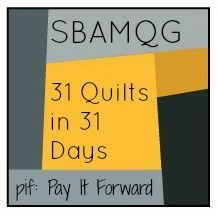 The goal is to make 31 quilts in 31 days for children with cancer and their families, through Jacob's Heart. I knew instantly I wanted to help. 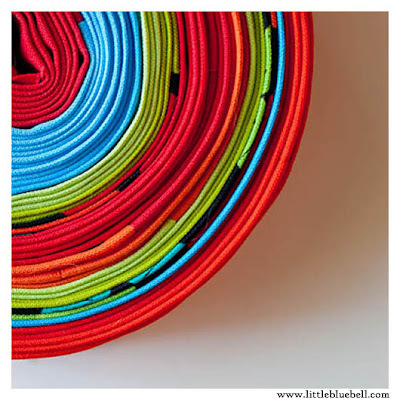 It was late Thursday night and I started pulling fabric that made me happy right then and there. There were no rules, but I was looking for that gut reaction of, yes-happy. I started with the red polka dot (what's happier than that?) and added the oranges and yellows. 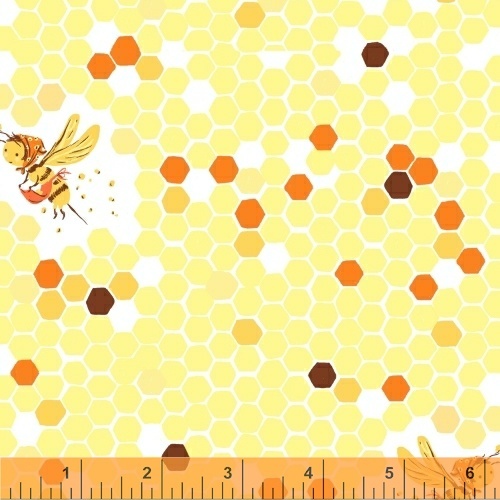 Those Mini Muu Bees from Lecien are the sweetest thing ever. Then came the greens. It felt a little too citrusy and lacking in the teal department, my personal favorite. So I added some teal and pinky-purples. I did not set out to create a rainbow at all, but that's just what I did. And here's the top. Inspired by the happy colors, I made some happy blocks. My husband thinks it looks like Skittles. I'm going to finish this one too. I had a few Stargazer blocks already cut out, so this top came together quickly. And you thought it was getting quiet around here! I'll be basting if you need me.